It's been a busy summer, but I've finally had a chance to take some more pictures. This one's pretty basic stuff I like wear during the summer months and on my free time. 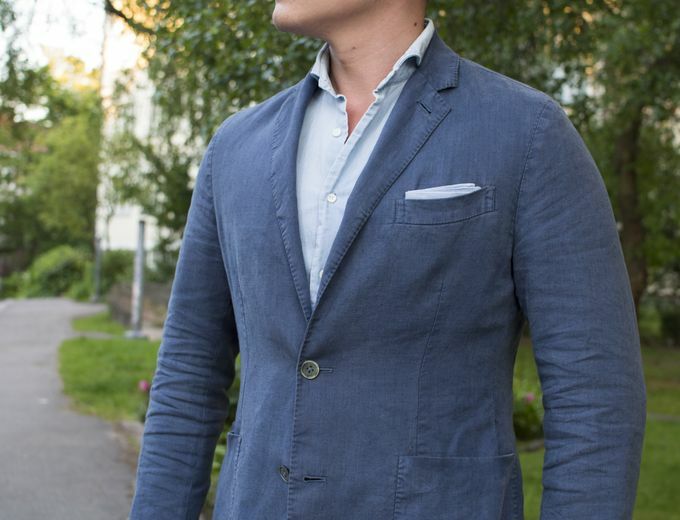 An aviator blue linen jacket (with one of my favorite shoulder lines), khakis and suede loafers. 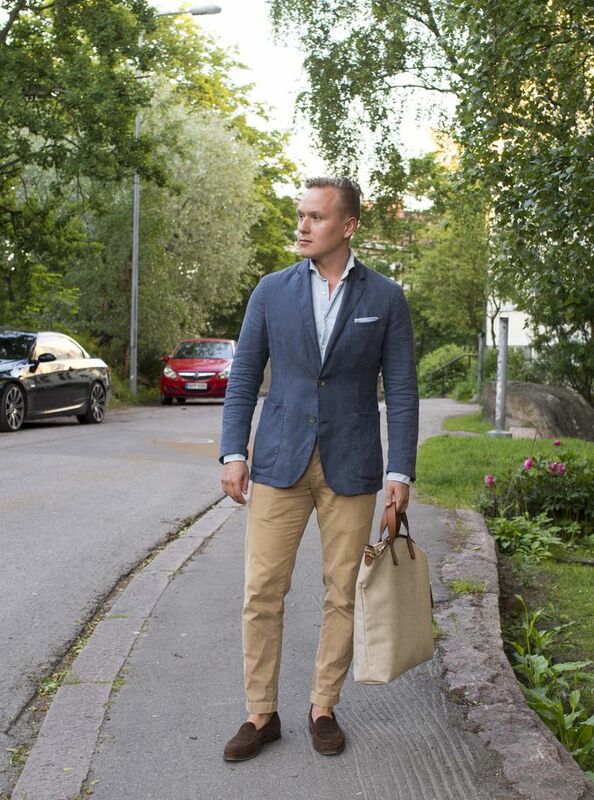 The jacket is from SuitSupply (discontinued Paris fit), chambray shirt also from SuitSupply, oxford cotton pocket square from unknown maker, suede belt from Alden, trousers from Brooks Brothers, loafers from Septieme Largeur and bag from Mismo. Lightweight summer fabrics and soft textures. 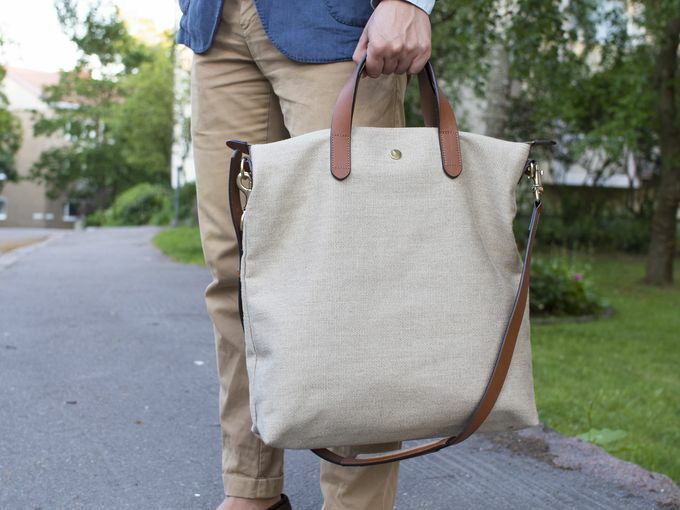 Mismo Shopper in linen and tan bridle leather, a lovely summer bag good for a beach trip or some shopping. Or actually for pretty much anything.